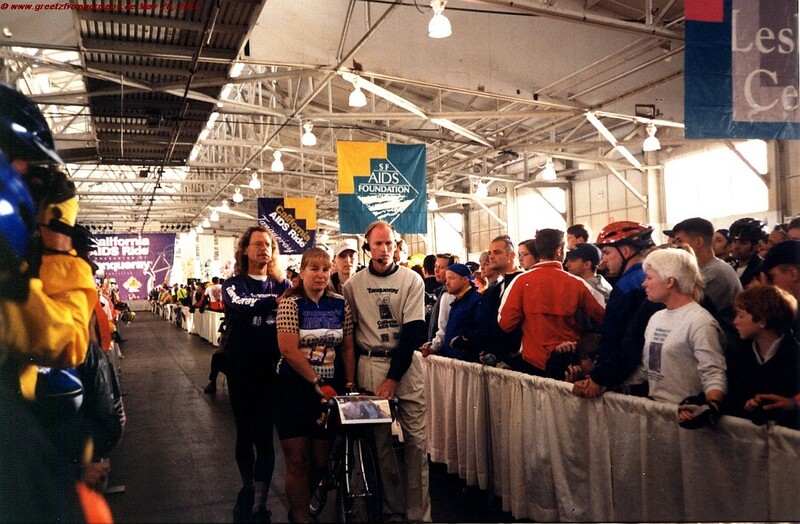 In the wee hours before the AIDS Ride 1999 starts, having several hundred cyclists ride from San Francisco to L.A. as a charity event for those living with, and having died of, AIDS. 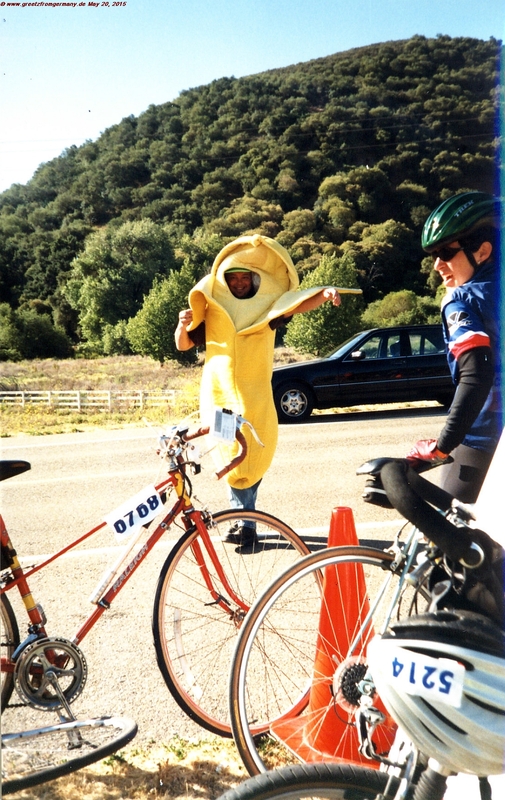 On that day, several hundred riders hit the roads in San Francisco to cycle down to L.A. in a 5-day ride of high spirits and festive mood, many of us in colorful costumes and odd little tongue-in-cheek accessories mounted to the handle bars, helmet or camel backs. 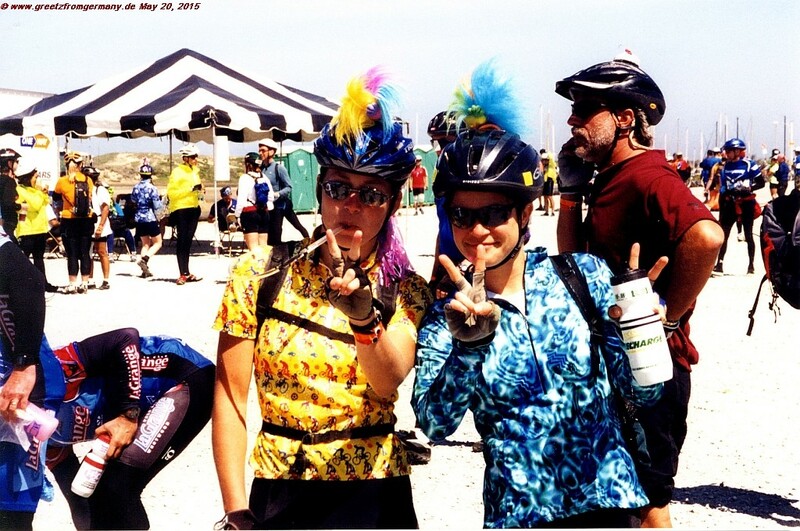 Riding a bike should not keep you from shaking your tail feather! This was a charity ride for the cause of supporting people living with AIDS and in desperate search of treatment that would like them to survive. Way too many had already lost that fight. 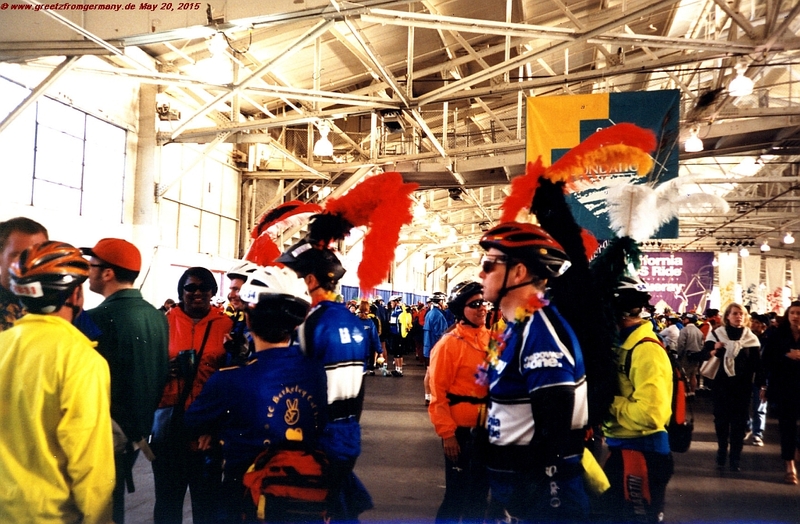 In honor of those, the Riderless Bike was pushed through the wharf building that served as the location of the ceremony that send the riders down to L.A. 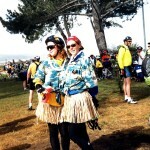 The Riderless Bike was with us all the way to L.A., at least in our hearts where the memory of loved ones lost lives. Luckily, while AIDS is still a horrible disease to suffer from, it is one that today people don’t have to die from any longer (at least not at rates as high as they still were 15 or 20 years ago – and not in a time frame as short as that which patients were left with when diagnosed way back then). This is a wonderful and very heartening history we can look back to. 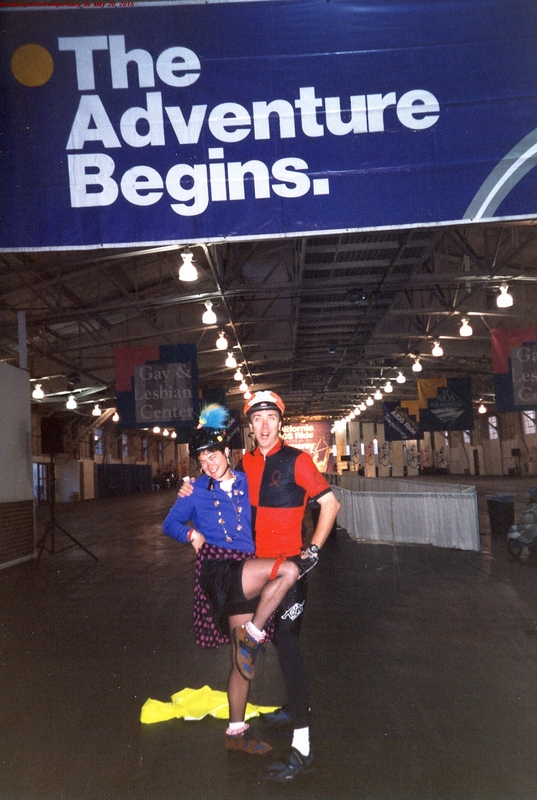 Victory over AIDS – although only years later than this picture was taken, but still a reason to celebrate in full colors. May we put as much effort and thought into our everyday actions when on the road – no matter whether on a bike, in a car or in any other way we are participating in traffic. We managed to help those with AIDS live a life that is a long and worthwhile one. Shouldn’t it be so much easier to significantly lower the number of those who are killed in traffic? We don’t need highly trained scientists for that, we just need everyone (including ourselves) to use a little bit more caution and intelligence; and sometimes a little less anger and rage at our fellow traffic participants. Couldn’t be easier, you’d think!